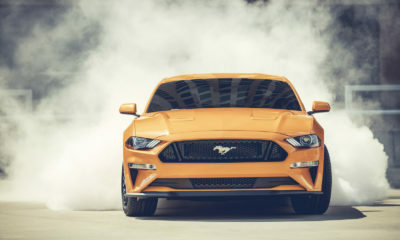 The race-spec 2019 Ford Mustang Supercar contender will replace the Falcon sedan-based racer in the 2019 Australia Supercars Championship. Six Ford Mustang racers will line up for the 2019 Australia Supercars Championship and here’s the first look of the car before the respective teams slap their colors and graphics on the body panels. 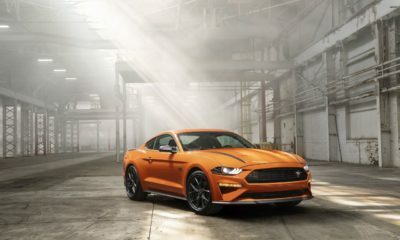 To be fielded by Shell V-Power Racing, Tickford Racing Mustangs, and 23Red Racing, the 2019 Ford Mustang Supercar racing machine will replace the Ford Falcon sedan-based race cars which were being deployed for decades. Ford Performance worked extensively with the teams to develop this machine which added one more racing series to the muscle car’s growing collection which already includes GT4, NASCAR, and NHRA. But it isn’t a Mustang as such. It’s more of a Supercars’ Gen 2 control chassis with a body that mimics the design of the Stang. The differences are obvious from first glance itself. The roof is taller so that the interior can accommodate the mandatory roll cage. The wheelbase has grown and so has the overall length in order to meet the specifications demanded by the racing series. And who could possibly ignore that big rear wing? Powertrain is the same as that of the Falcon race car – a 5.0-liter V8. The debut is scheduled to take place at the Superloop Adelaide 500 running February 29 to March 3.